A global leader in sports medicine products, McDavid relentlessly pursues high-performance, delivering leading-edge products that inspire confidence and help athletes of every level achieve their potential. 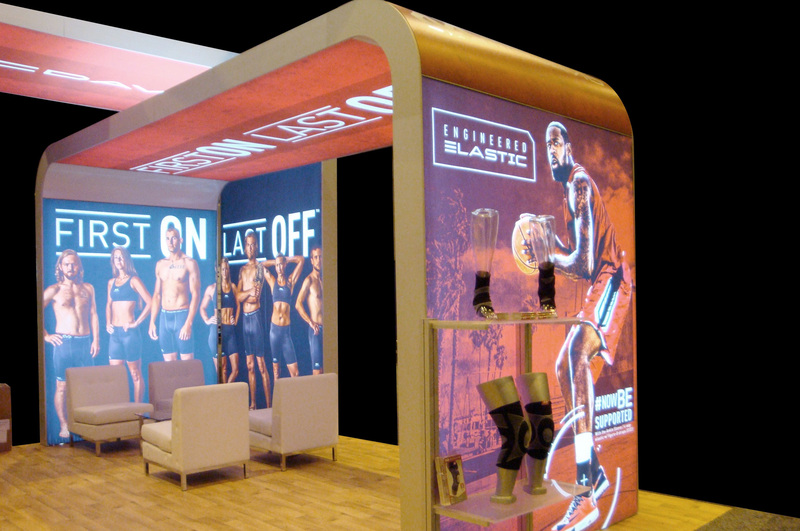 The goal for McDavid's exhibit environment at the National Association of Athletic Trainer's (NATA) annual show was to bump up the wow factor and score big: Capturing attention, driving traffic and, ultimately, slaying the competition. Light, bright and bold, the design would feel just like a gold medalist’s showcase. Not so dangerous but beautiful curves lend a sense of fluidity and movement throughout this eye-catching space. With limited resources for their first ‘at bat’ participation in a show larger than is years' past, McDavid stands unafraid to garner loads of attention. 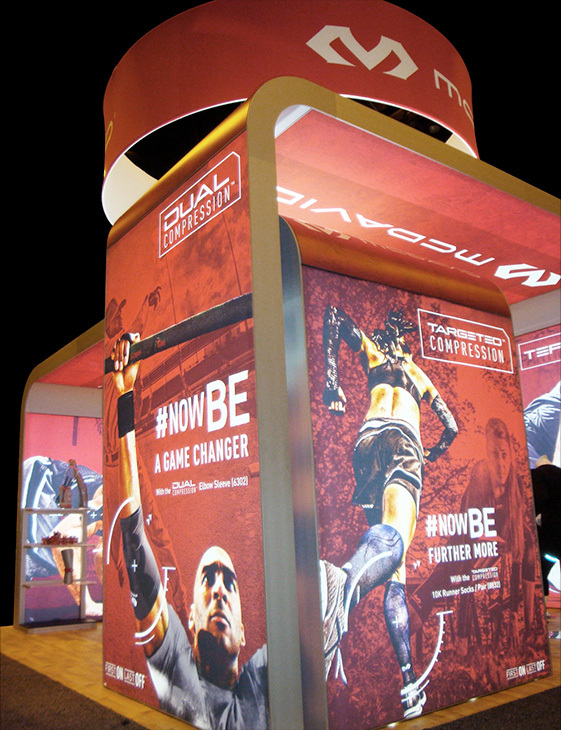 Buff, fit, fierce athletes feature prominently on this environment’s bold graphics, branding, and visual components. 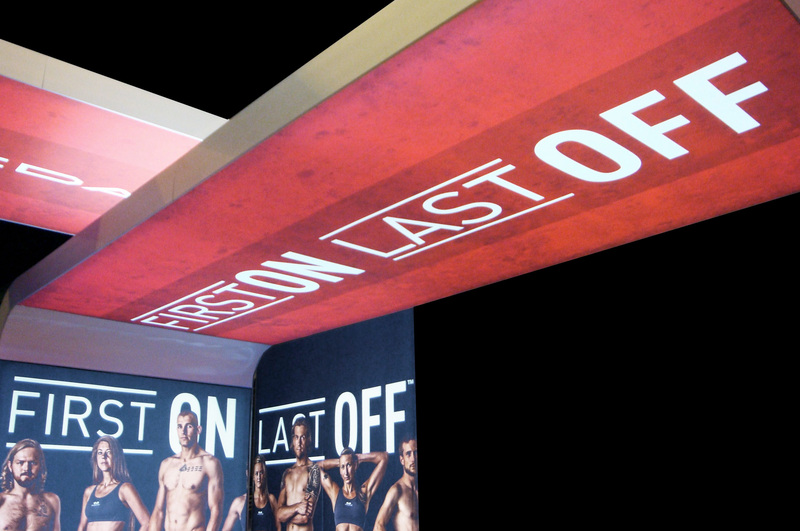 Attendees can’t help but to stop, take notice and step inside. 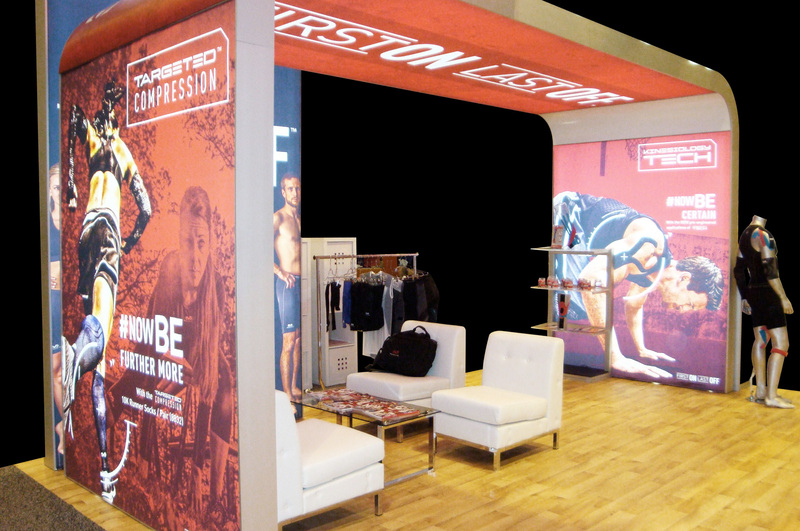 With thousands of coaches and certified athletic trainers attending NATA as their go-meeting to see the latest in products and technologies, the show is a stomping ground for up and coming athletes. An engaging and inviting space, the environment offers comfortable seating with bar-height counters opening the doors for healthy engagement and interaction. 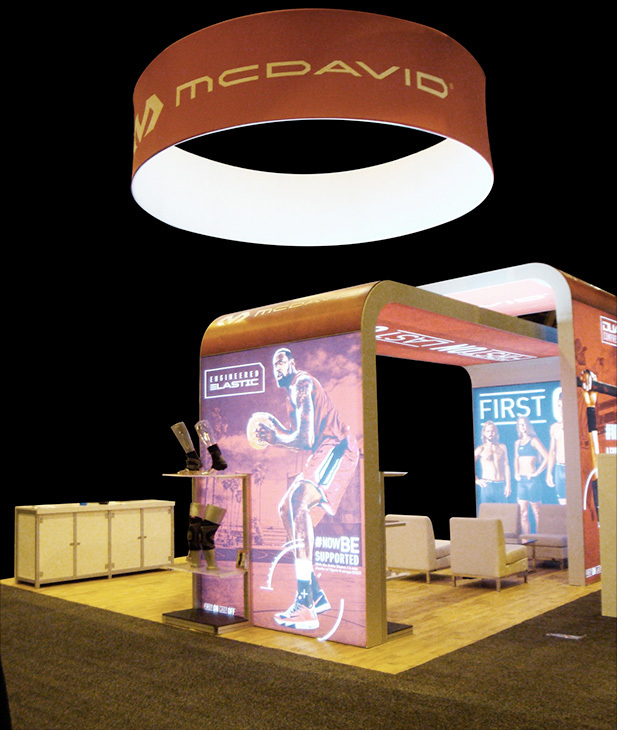 McDavid’s team of partner/product distributors comfortably spent time meeting with clients and prospects, strengthening relationships and extending the conversation. Traffic increased as never before. And the report for the field is that it was the best-looking locker room that you ever did see. Plans are underway for next year's environment; that will be bigger, bolder and more bodacious than ever. Game on.